I continued my staircase today. Because my workshop is at my parent's place (I live in a small apartment in the city) I don't get to it as much as I would like. So when I do visit, I do as much work on my house as I can. 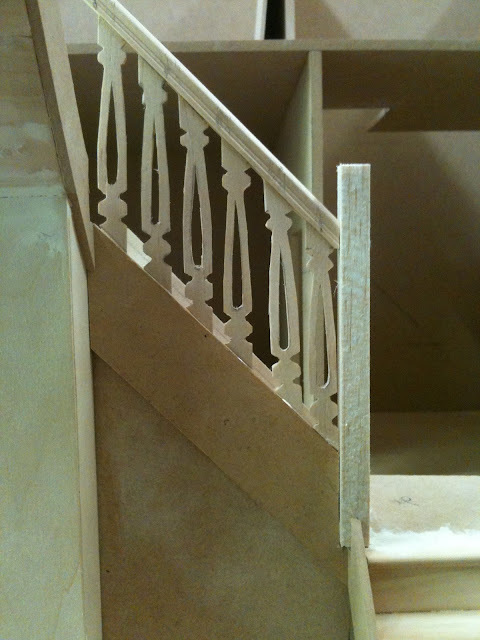 I agonised over the choice of balustrade - round? straight? turned? In the end I decided on a flat stencil type cut. I have seen a lot of these type of balustrades in Scandinavian houses, so it seemed a good choice. I decided to use iceypole sticks because they are just the right size. 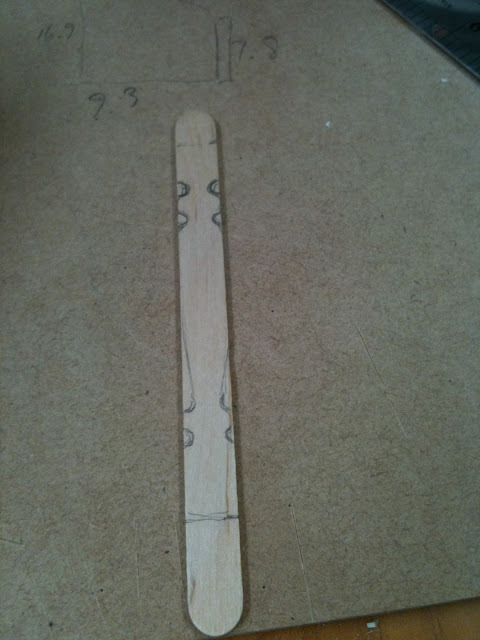 I drew out the pattern on each stick and then cut them on the mini band saw. 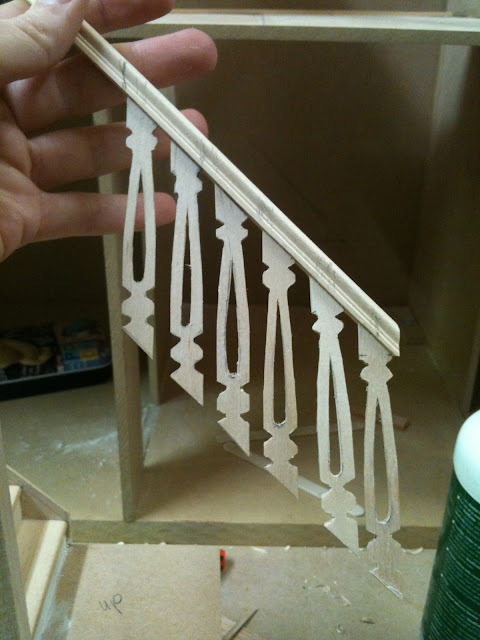 I wanted to make the balustrades with a decorative hole, so a drilled holes to make it easier to cut. 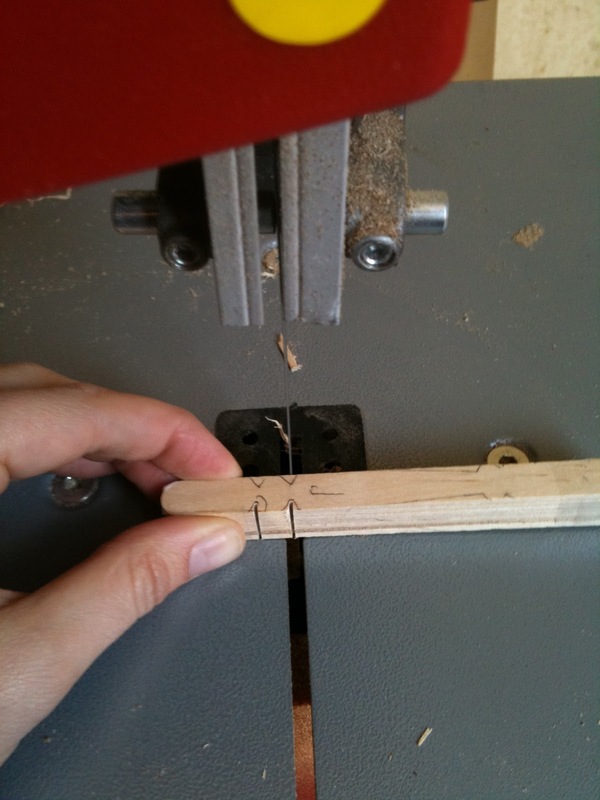 Because iceypole sticks aren't the best quality wood, some split while I was cutting them. I glued them back together easily though. The result was quite pleasing. Capping the posts made it look quite finished. Still some work to do. Look out for the next post! I found your blog via Elga's Miniatures. Lovely staircase. 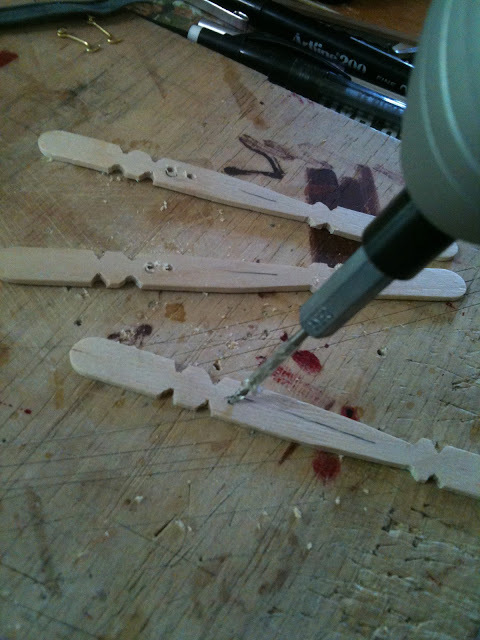 Not so sure about using balsa wood as it dents easily. Did you use it because it is so light weight? I'm glad you like my blog! You are right about the balsa wood - as soon as I brought it home from the shop I knew it wasn't the best thing to use. However the shop had already closed for the weekend so I had to make do! 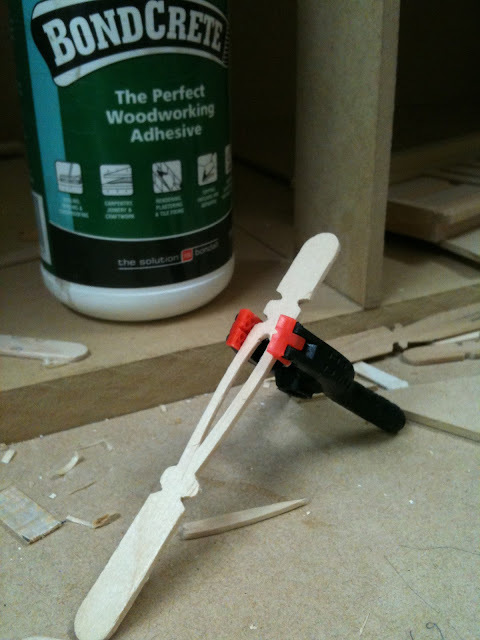 the the other four or five posts left to make I will use a harder wood for sure! Yes, I did delete my tumblr. But not to worry, I had only used it a few weeks, and moved all the best posts over to this new blog. Yes, I have tried the old address and did not find him. Beautiful work you've made ​​from simple popsicle sticks. Congratulations! Sorry you could't find it - I deleted it. But don't worry because all the content was transferred over to this page. I'm glad you like my stairs! 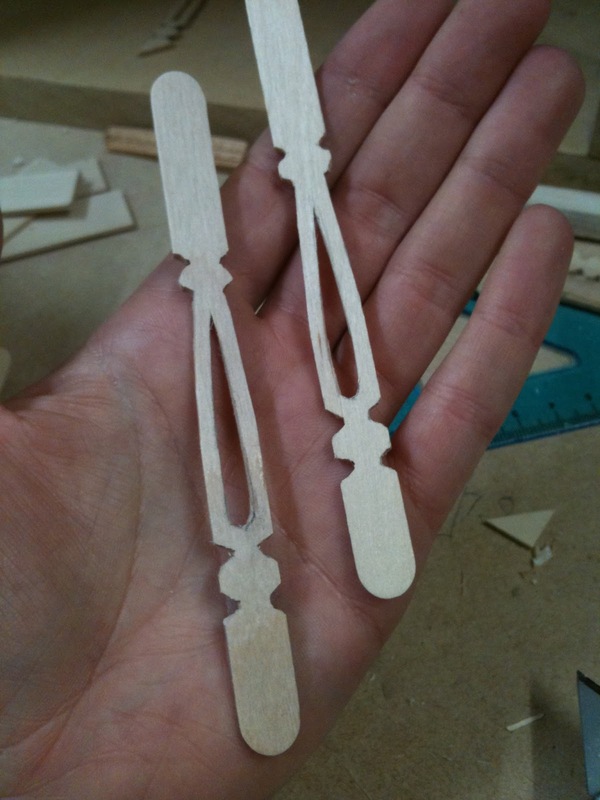 I will post more when I finish the rest of the rails. 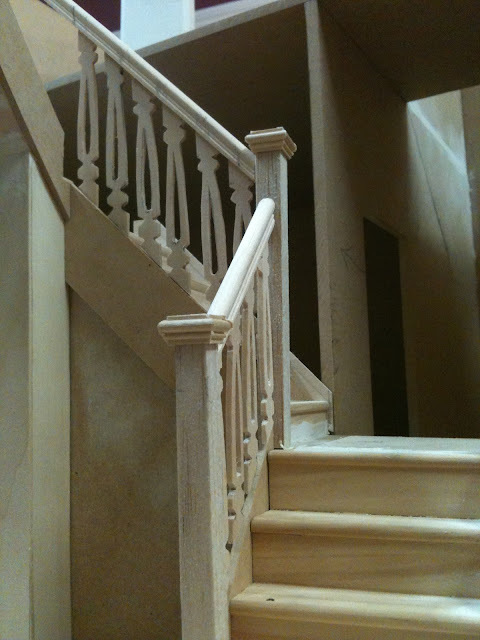 Love the balustrades, they look really good. Fantastic! 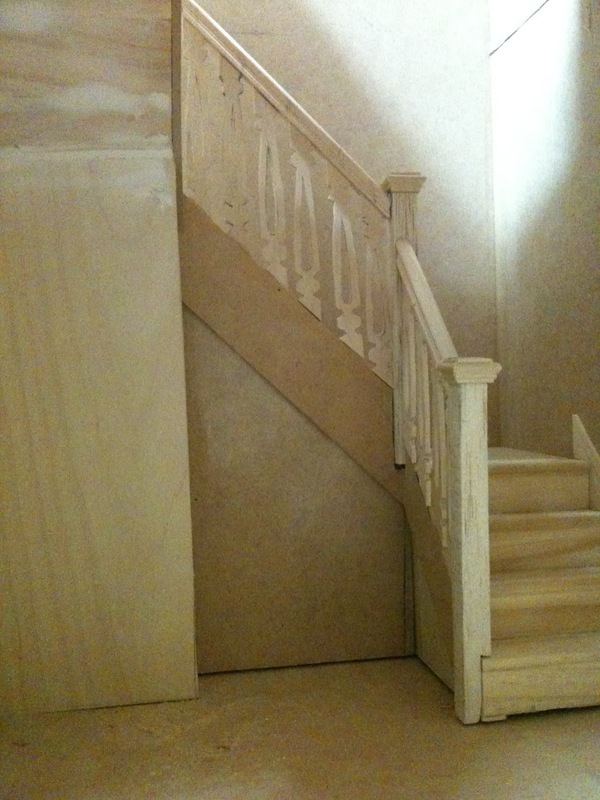 You did such a great job ont he staircase. It's not only beautiful but since you made the balustareds yourself no one will ever have one just like it. It is perfect and the pictures look like a real room. I have to say it again, fantastic! Thanks Giac, although I'm not sure if the caps that I put on the posts are too large, maybe they should be more delicate? It looks great already, and very unique. 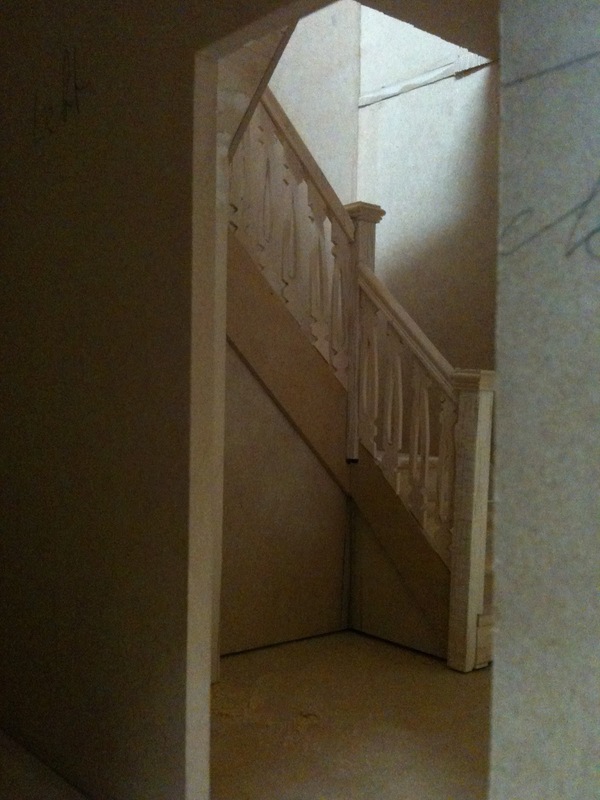 The view of the staircase through the door space is very appealing. Thanks Sarah. Yes, I wanted to achieve that effect - I want it to look as real as possible. We will see how it turns out though :P! 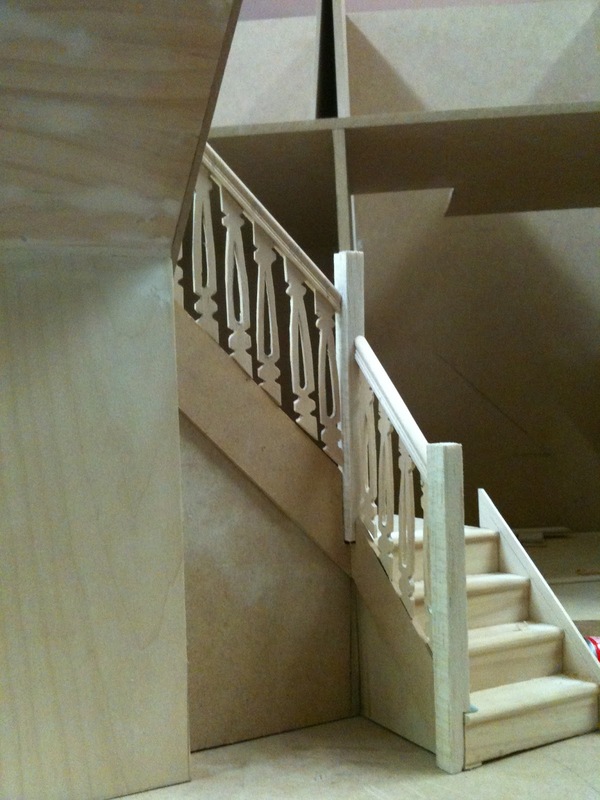 I have just found your blog and what a thrill to see so much practical and imaginative work! 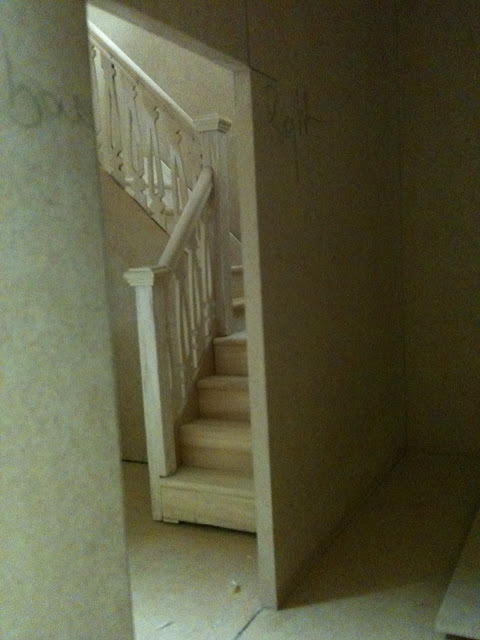 I dislike doing staircases and find myself stumped by the mathematics of the angled cuts. 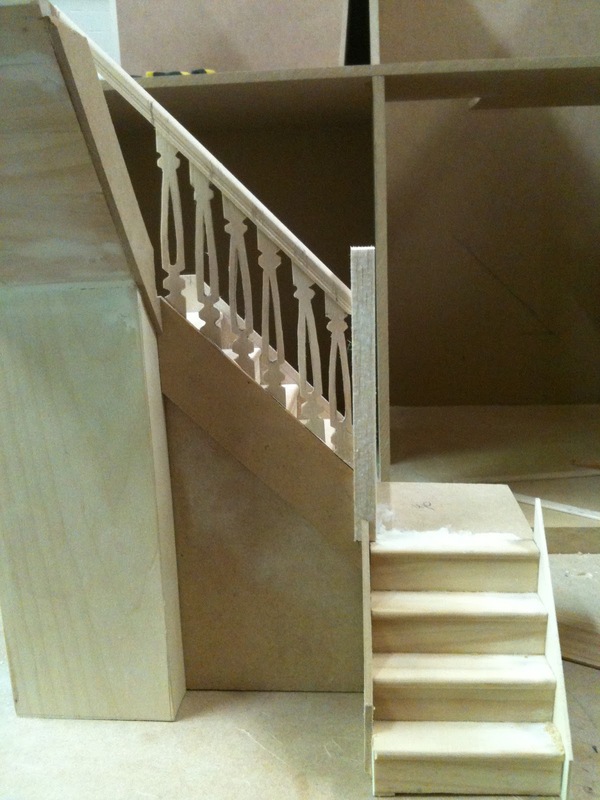 I think stairs or the lack of them, can make or break the flow of the doll's house but you have made the staircase a work of art, making it a signature piece by creating your own balustrades and posts and the newel caps are the lovely finale to a job well done! 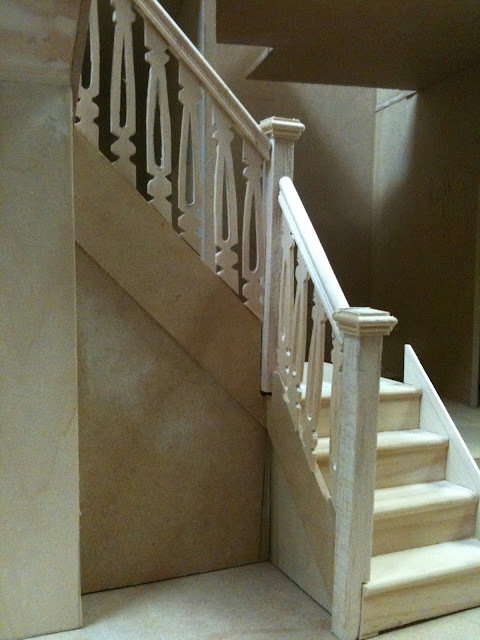 I like these balustrades, they look soo good! Thanks for sharing this great idea. Now I'll go back to your newest post ;)!